I've seen your job advertisement. Is the position still open? The position is open as long as the job advertisement is listed on our website, in the section Jobs & apprenticeships. Please send your application to info@clearaudio.de. Yes, we offer student internships. Please send your application, including your preferred duration of internship, to info@clearaudio.de. Yes, we offer internships. Please send your application, including your preferred duration of internship, to info@clearaudio.de. How long is the warranty period for my Clearaudio product? Over and above than the legal warranty of 2 years, we offer extended warranty periods for most of our products. You can find details of the extended warranty period for a specific product in that product's user manual. If you don't have a copy of the relevant user manual, you can download it at Catalogues & user manuals. Please note that we can only grant the extended warranty period if we receive your completed warranty card, or your online product registration, within 14 days of product purchase. For more information about the warranty card/product registration, please see Warranty registration. I received a Clearaudio warranty card with my purchase and I want to register my Clearaudio product for the extened warranty period. How should I do that? 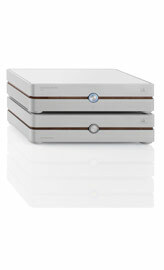 You can send us the completed warranty card by post, or scan it and email it to info@clearaudio.de. 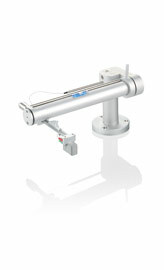 Alternatively you can register your product online. In both cases this must be within 14 days of product purchase. 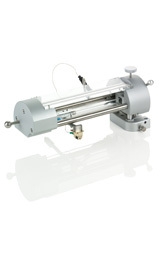 If you provide an email address we will email you to confirm the extended warranty period. 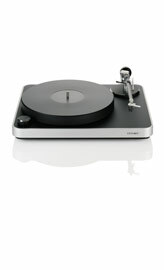 Is there an upgrade option for the standard power supply of my Clearaudio turntable? 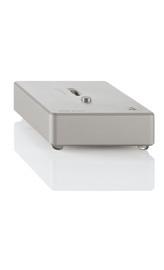 For the Clearaudio Concept series we offer the Concept Smart Power (Article number EL035/B/S, EL035/B/B), which provides the option of a true battery power supply for all Concept series turntables. 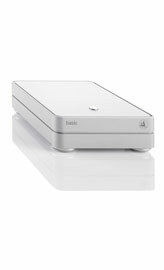 For the Performance DC series we plan to release a battery power supply similar to the Concept Smart Power. The release date is to be confirmed. 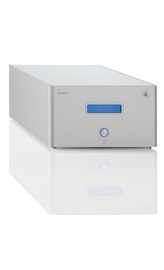 For the Clearaudio Ovation and Innovation series we offer the accudrive smart power (Article number EL034/B, EL034/S) which is a pure battery turntable DC power supply. Please contact your local Clearaudio dealer or the official Clearaudio distributor in your country for more information and prices. See our list of worldwide distributors. 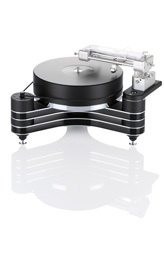 Can a tonearm from a different manufacturer be mounted on a Clearaudio turntable? 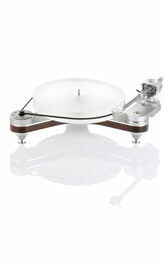 Yes, you can mount a tonearm made by a different manufacturer on a Clearaudio turntable, with an appropriate armboard. We will be happy to provide such an armboard. 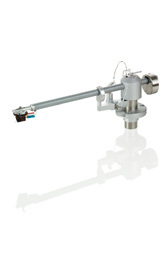 How do I re-set the anti-skating force of my Concept tonearm? 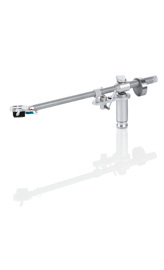 Adjust the counterweight so that the tonearm 'floats' while not in rest position. 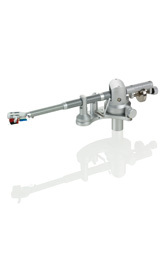 Turn the anti-skating screw to get the position of the headshell of the tonearm right above the edge of the platter, where the lead-in groove would be. 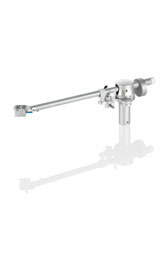 Mark the position of the anti-skating screw by drawing a line with a pen from the screw head to the tonearm foot. 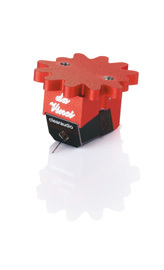 If you are mounting a Concept MM or any other Clearaudio MM V2 cartridge, turn the anti-skating screw 3 times anti-clockwise. 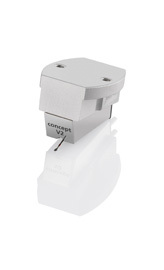 If you are mounting a Clearaudio Concept MC cartridge, turn the anti-skating screw 4 times anti-clockwise. 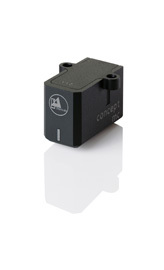 Finally, mount your cartridge again and check the tracking force. 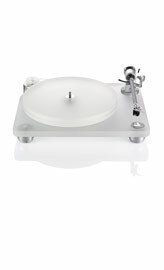 Please note this is just a quick guide for the standard Clearaudio cartridges provided with the Concept turntable. If you want to be more precise you are welcome to use the 'traditional way': use a test record (such as the Clearaudio Trackability Test Record, Article number LPT 83063) and set the anti-skating force by checking the tracking with an oscilloscope. 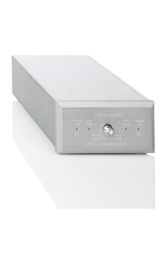 Where can I find technical data for Clearaudio products? 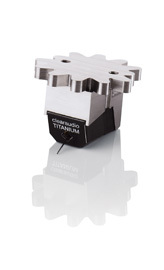 You can find all key technical data for your product on the relevant product page of the Clearaudio website. 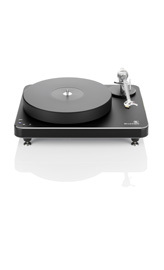 You can also download catalogues & user manuals for all current Clearaudio products. 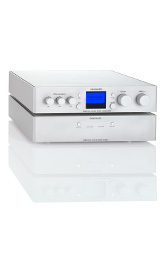 For older Clearaudio products please look for information under Archive. I have a technical problem with a Clearaudio product. Who can help me? If you have a technical problem with one of our products, please contact your local Clearaudio dealer or the official Clearaudio distributor in your country. Please see our list of worldwide distributors. 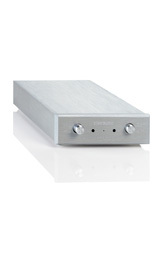 I need a spare part for my Clearaudio product but I don't live in Germany. Where and how can I purchase spare parts in my country? 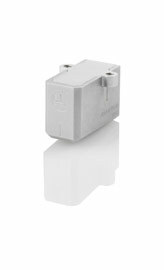 Please contact your local Clearaudio dealer or the official Clearaudio distributor in your country for information on spare parts. For contact details, see our list of worldwide distributors. The stylus of my Clearaudio MC cartridge is broken. What are my service options? Broken MC cartridges cannot be repaired, only replaced in full. In such cases we offer special exchange prices. 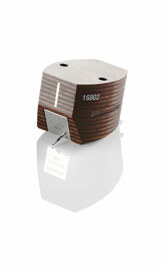 We also offer upgrades from cartridges of 'older generations' to cartridges from our current MM range. Please contact your local Clearaudio dealer or the official Clearaudio distributor in your country for more information and prices. For contact details, see our list of worldwide distributors. The stylus of my Clearaudio MM cartridge is bent/broken. What are my service options? MM cartridges can either be repaired or replaced, depending on the condition. 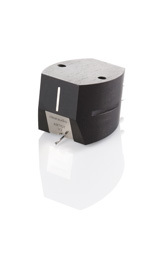 We offer upgrades from cartridges of 'older generations' to cartridges from our current MM range. Can I buy a MM stylus on its own so I can repair a broken cartridge myself? We don't offer MM styli on their own. 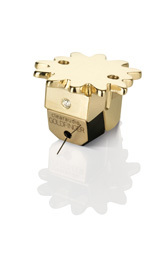 A cartridge's original measured values can't be guaranteed following a self-repair. In such cases, we offer stylus exchange/repair servicing at lower prices for MM cartridges, in which we also clean and double-check the whole cartridge at the same time. What are the main reasons for broken styli? 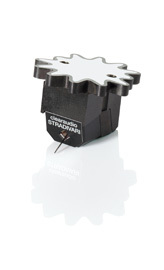 If a cartridge isn't protected by a proper stylus guard, in our experience the most common causes of broken needles are free-roaming pets, overzealous cleaners and high-spirited children! 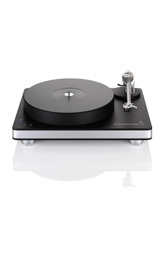 We recommend always using a stylus guard when the turntable is not in use. 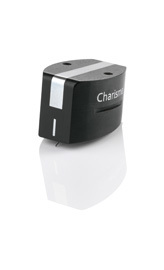 If you don't have a stylus guard, you can request a replacement from your local Clearaudio dealer or the official Clearaudio distributor in your country. For contact details, see our list of worldwide distributors. What is the lifespan of my Clearaudio cartridge? Ideally, our Clearaudio cartridges can be used for several decades. External influences such as climate, temperature, humidity, intensity of use, maintenance and the condition of your records can affect the lifespan of the cartridge. The part subject to wear and tear is not the diamond, but the rubber-silicone overlay of the cantilever, which can lose flexibility over the years. If you suspect wear and tear of your cartridge, you can have it double-checked through your local Clearaudio dealer or the official Clearaudio distributor in your country. For contact details, see our list of worldwide distributors. How long is the running-in period of Clearaudio cartridges? 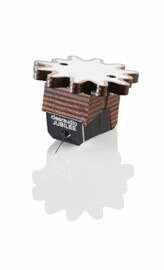 We recommend a running-in period of 100 hours for all Clearaudio cartridges. This period can be reduced to 10-12 hours using the Clearaudio Cartridge Break-In Test Record (Article number BIN 070904). 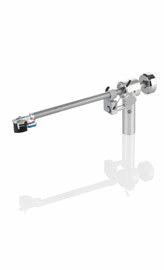 Can I mount a Clearaudio tonearm on a turntable made by a different manufacturer? 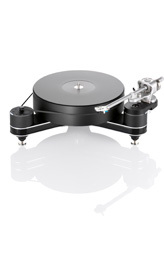 Yes, with an appropriate armboard, Clearaudio tonearms can be mounted on turntables made by different manufacturers. 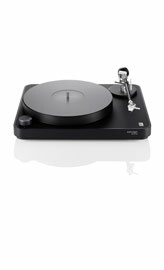 In these cases the manufacturer of the turntable will provide the required armboard. 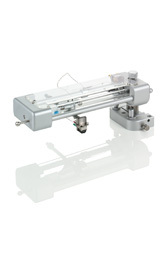 Please contact the manufacturer for more information. If your turntable manufacturer needs the layout of the drill holes of the armboard, you'll find them in every Clearaudio tonearm manual. You can download all current Clearaudio manuals at catalogues & user manuals. For older Clearaudio products please look for manuals under Archive. 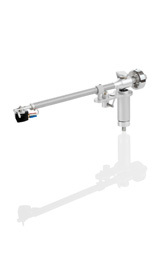 Can Clearaudio tonearms be modified with XLR connectors instead of RCA connectors? 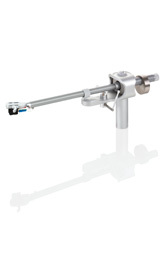 Yes, all Clearaudio tonearms can be modified with XLR connectors. Please contact your local Clearaudio dealer or the official Clearaudio distributor in your country for more information and prices. For contact details, see our list of worldwide distributors. 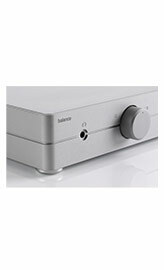 I would like to purchase a Clearaudio product but I don't live in Germany. Where can I buy your products in my country? 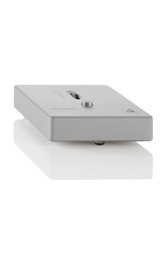 We have official Clearaudio distributors in more than 65 countries worldwide. For details, see our list of worldwide distributors. Every Clearaudio distributor has substantial knowledge of our products and can assist you with any advice, purchases and after-sale-service. If your country is not listed, please contact us directly so we can recommend the most convenient alternative for you. I ordered a Clearaudio product through my local dealer or the official distributor in my country. How long is the delivery time? Please contact your local Clearaudio dealer or the official Clearaudio distributor in your country for information on delivery times. If your dealer or the distributor doesn't know the delivery time, they will contact us directly and forward the information to you. I have a Clearaudio record cleaning machine (models: matrix, double matrix, smart matrix, smart matrix professional, double smart matrix, double matrix professional, double matrix professional SONIC, smart matrix SILENT). When do I need to replace the microfibre strips? The lifespan of the microfibre strips depends on a number of factors such as the degree of pollution of the records, washing programme, frequency of cleaning of the strips and the surface texture. In general we give the following guidelines: clean the strips every 20 to 30 washes (rinse the strips under clear water), and replace the strips approx. every 100 washes. 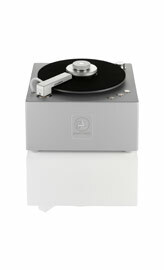 The record stops during the suction process. Why is that? This problem can occur if the clamp is not placed down firmly enough. Please make sure you push the clamp down properly when placing it in position. 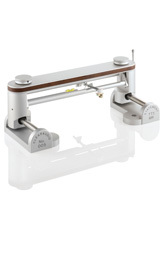 What is the maximum weight of the record clamp for my Clearaudio turntable? 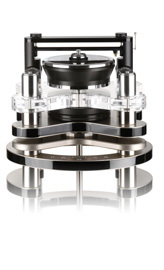 For Clearaudio turntables with our ceramic magnetic bearing, any Clearaudio record clamp can be used, as well as the Clearaudio Outer Limit (Article number AC041, AC041/POM). 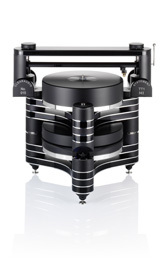 Clever record clamp (Article number AC009), Concept record clamp (Article number AC122), Twister record clamp (Article number AC059), Quadro record clamp (Article number AC010/S, AC011/S) – for details of all see Accessories for turntables. 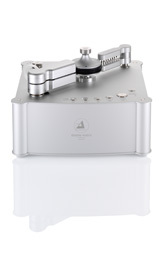 For Clearaudio turntables without Optical Speed Control, such as the Concept and Performance DC, we recommend double-checking the speed after mounting a heavy record clamp. 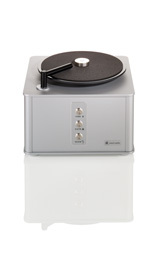 For perfect results we recommend using the Clearaudio Stroboscope test record and Speed light source (Article number AC076). Then please contact us using our contact form.